A scooter or a motorbike – which is the best bet? 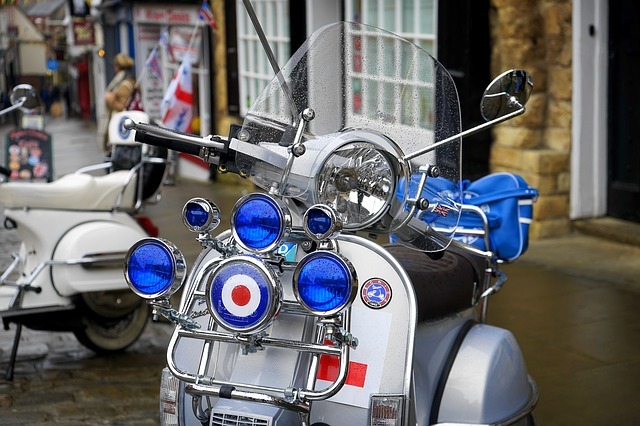 Back in the 70s your answer to this question determined which tribe you belonged to – the Mods, represented by the scooter riding Sting in the film Quadrophenia, or the Rockers, who, if they had to choose a two wheeled conveyance, would pick a motorbike every time. Even though a small tribal element in this choice still survives today, for most people the choice of buying either a motorbike or a scooter is down to one thing – beating the traffic. So, which should you get? The first thing to consider is the length of the journeys you are going to make. If your commute, or any of the regular trips you need to make, take you on to fast roads or on to the motorway, you should forget the scooter option, as ‘mopeds’ (defined as two wheeled vehicles with an engine capacity of less than 50ml and a top speed of less than 50kmh) are generally prohibited. Even if you could legally, it would not be a pleasant experience. If on the other hand you need to get around the city, a scooter is a great choice – very low fuel consumption and easy to park almost anywhere. It is more or less the same with a motorbike, although fuel consumption is higher and – although they are still fairly easy to find a parking spot for, not quite as easy as for a scooter. This may be stating the obvious, but a recent survey in the UK of motorbike (and we presume other two wheeled) riders confirmed that they are less stressed by their daily commute than car drivers. Getting stuck in traffic jams was the biggest frustration for car drivers in the UK, with 60% stressed out by them, whereas only 13% of the motorbike riders found it at all stressful. In fact one European study found that if just 10% of commuters swapped to a motorbike or moped, traffic congestion would reduce by 40% and if 25% of car drivers swapped, it would completely eliminate all congestion. Statistics out of Australia show that riding a motorbike or moped is also becoming a more popular option here – between 2010 and 2015 the number of motorcycles on the road increased by 22%, and recent stats from the ABS show that just in the last 12 months the number of motorcycles on the road rose by 2.5% as against an increase of just 1.9% for cars. There are of course obvious occasions when a two wheeler just won’t work – think bad weather, cargo or passengers to transport etc, so the ideal situation is to have access to a car as well as a scooter or motorbike. And if you’re new to riding a motorbike, even if you have a current driving licence and know the road rules well, it’s a very good idea to get some riding instruction, ideally before venturing out on the road, so that you can commute – and save money and stress less – safely.